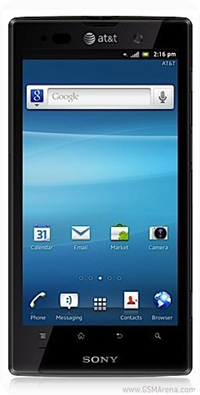 Don’t be confused with Sony Xperia ion, the latest highly notable smartphone brought to you by Sony (and AT&T). That’s right. It’s from Sony, not from Sony Ericsson. This latest phone release will focus on key features by bringing BRAVIA® Engine to mobile device which definitely will offer a whole new experience to users. True to its reputation, Sony Xperia ion promise to deliver a HD Reality display screen resolution (1280 x 720), not just from back but also from front (720p) cameras for HD recording. So user can enjoy quality videos they can share with friends and families "with easy connectivity across multiple screens within the world of Sony", as stated. Sony also added great feature, the PlayStation™ Certified for games enthusiast to taste a high quality gaming experience only with Xperia ion. Sony will surely announce the price and final specs before the scheduled release on second quarter of this year. I was not ware that Sony and Ericsson break-up. Kelan ko lang nalaman. May pakiramdam ako mas mapapansin ang Xperia ngayon Sony na ang bahala. Ok din to Xperia Ion ang laki ng display.